Large flowers, rich colors and long bloom times — that's what your garden is in store for when you plant these Pincushion Flowers. Their frilly blossoms sit atop sturdy stems and contrast against grayish-green leaves for a beautifully unique look. Plants are alive and growing at the time of shipment. 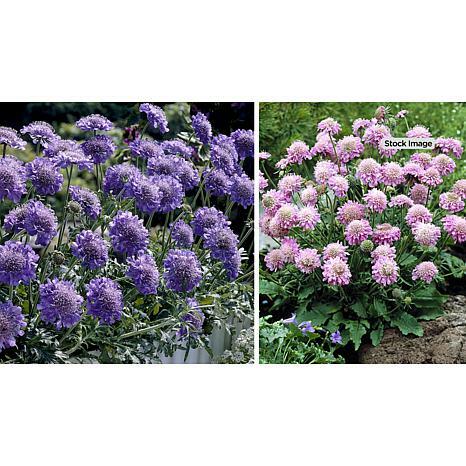 Variety: Scabiosa columbaria "Blue Flutter" and Scabiosa columbaria "Pink Flutter"
Height at Maturity: 12" to 14"
Spread at Maturity: 10" to 12"
Thoroughly hydrate the plant by submersing the root zone in a container of water for 10 minutes while you prepare for planting. Prepare the root ball for planting by gently disturbing the surface roots with your fingers, fork or gardening tool and pruning any damaged roots. This will encourage the roots to begin growing outward into the new soil. Dig a hole twice as deep and twice as wide as the plant's root ball. Partially back-fill the hole with soil and place the plant into the hole. The top of the root ball should be level with the ground surrounding the hole. Refill the hole with soil, firming the soil around the plant with your fingers. Check to be sure the plant is not planted too deeply. If it is, raise the plant carefully and re-firm the soil. Apply a 2" to 4" layer of shredded bark, compost, leaves, straw or other organic matter around your plants to promote moisture retention, maintain even soil temperatures and discourage weed growth. Replenish the mulch as needed. 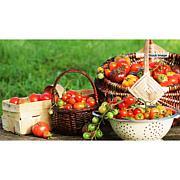 Adequate and consistent watering is essential during your plant's first year in the garden. Infrequent, long soakings of water that thoroughly saturate the soil are more effective than frequent, light applications of water. Do not allow the soil or the original root ball to completely dry out. During the first summer, you may need to water as often as every few days in periods of drought and extreme summer heat. To determine if your plant needs water, dig a few inches into the soil next to the plant. If the soil is dry 2" to 3" below the surface, it is time to water. Overwatering can be as damaging as under watering. Be sure that the area surrounding your plant has adequate drainage to move water away from the plant. If you choose to plant in a container, always select one with drainage holes to prevent your plant's roots from sitting in water. Feed your plants once every 2 to 3 weeks during the growing season with a water-soluble fertilizer. Keep the area around your plants free of weeds. Weeds compete with surrounding plants for food, water and light. Walk around the garden periodically and pull weeds, including the roots, as soon as you see them. 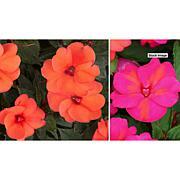 Remove spent flowers as blooms fade to promote heavier reblooming. Clip off any dead, damaged or unsightly growth as needed to maintain an attractive appearance. 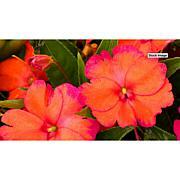 Cut each plant down to its basal leaves after it has finished flowering in fall. New growth will emerge in spring as temperatures rise. Watering thoroughly in late fall will greatly enhance your plant's cold tolerance once the ground has frozen. Scabiosa is a hardy plant, but will benefit from mulching in very cold areas. 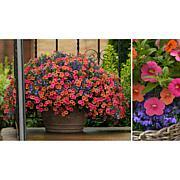 The time to winterize your plants is in late fall. When winterizing perennials, keep in mind that the root system is the most vulnerable to cold damage. Mulch heavily by mounding a 6" to 8" layer of shredded bark, compost, leaves, straw or other organic material over the crown of each plant. 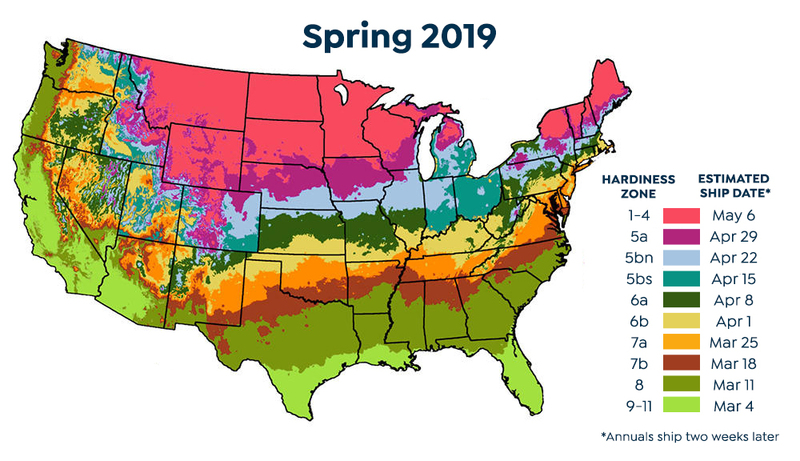 In very cold areas, containerized plants can be brought into an unheated, protected area such as a garage or cellar before temperatures drop below freezing. Check soil moisture every 2 to 3 weeks and water as needed during winter. In spring, remove mulch from in-ground plantings. Containerized plants should be moved back out into the garden sunlight where they will begin to repeat their yearly garden performance. Remind me about Leaf & Petal Designs upcoming shows. Plant these Fire Dance red hot pokers and watch as their nectar-rich blossoms attract pollinators like butterflies and hummingbirds. Their bold floral spikes will add texture to your garden and make excellent flowers for cutting and adding to indoor arrangements. What You Get 3 "Fire Dance"